Hit The Grounds 2008, the annual cricket carnival organised by the Computer Science and Engineering Society (CS&ES) of the Department of Computer Science and Engineering, University of Moratuwa, Sri Lanka, was held for the 5th time on the 24th of May. 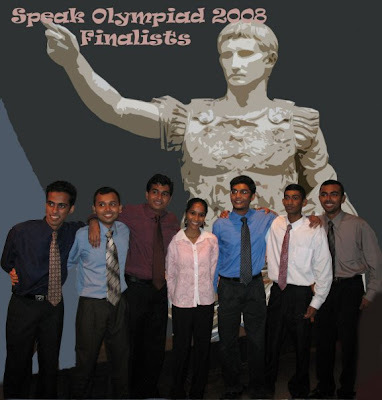 Teams from many leading IT firms, undergraduate teams and a team from the staff participated in this event. I was one of the event managers and had a ball of a time organising this event with Shanaka (the other event manager). Zone 24×7 came forward to sponsor the event. We had a spot of trouble from the MIT team because they refused to play on the pitch that was allocated to them and the team from Batch 05, to play the quarter finals. In that particular pitch bowlers didn’t bowl from either side because the boundary lines overlapped with another. As a result the pitch was in favour to the left handed batsmen. MIT refused this pitch because most of their batsmen were right handed. They wanted to use both sides of the pitch. However rules are rules and me along with the rest of the organising committee didn’t allow MIT to go ahead with their request. So after fussing for more than 45 minutes they agreed to play and the match went underway. MIT went on to score 100+ runs in just 7 overs in the pitch they said that was not suitable for their batsmen 😛 This huge delay prevented the finals from being played and MIT and WS02 went home as joint winners. 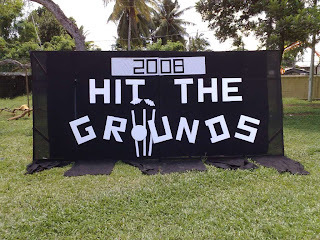 The event was major fun for all who participated and I can’t wait for Hit The Grounds 2009 to take place. The annual get-together of the Junior Old Boys’ Association of Sri Sumangala College will be happening tonight at the Wadduwa Holiday Resort. Loads of fun are to be expected at this event because it’s a place where school pals will meet after a long time. I will be participating in this get-together and I hope to meet my school friends. It has been some time since I met them and I am really looking forward to the event.